Negative coggins required - Health Certificate required. COULD BE CHECKED! 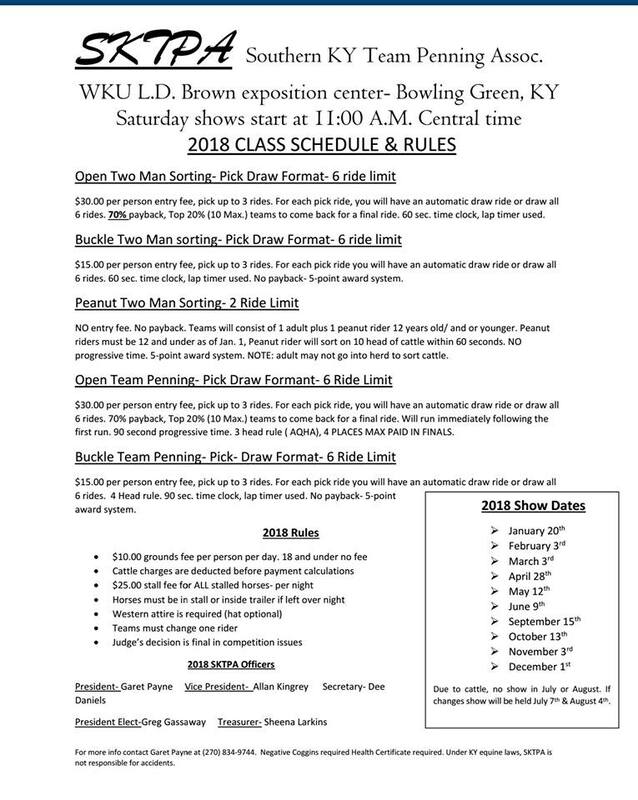 Under KY Equine Laws, Southern KY Team Penning Assoc. is not responsible for accidents.